It’s almost hard to believe how quickly the Battle Royale genre has grown in the span of two years. It started off as a simple concept: 100 players drop into a location and eliminate each other until the last man is standing. With the tension and excitement it builds in players trying to survive to the end, it is no surprise it became the new hottest trend in gaming. 2017-2018 saw a good number of games trying to dive headfirst into this new goldmine but two emerged as the frontrunners: PLAYERUNKNOWN’S BATTLEGROUNDS, and Fortnite. While both games have their audiences and fans can argue how one is “better” than the other, there’s no denying the success both games have had. When I see where PUBG and Fortnite have taken the Battle Royale genre over the last year, it makes me wonder if the success was because the AAA Publishers did not get their hands on the idea first. Not to say if EA or Activision beat them to the punch, their games wouldn’t have existed. Perhaps there’s a reason we might not have many more “hero shooter” type games after Overwatch and Rainbow Six Siege. So, it shouldn’t come as a shock when there’s a sudden boom, you’ll have publishers carefully inspecting it and coming up with their own ideas and concepts of how to revolutionize the genre. 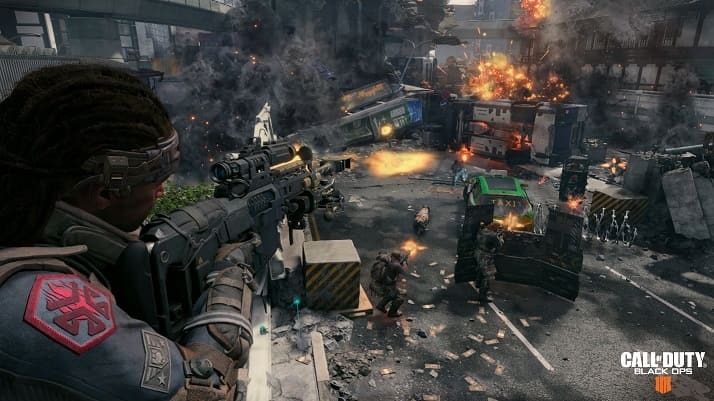 With this in mind, we turn our attention to two upcoming titles that may change how we see Battle Royale games with Call of Duty: Black Ops 4’s Blackout, and Battlefield V’s Firestorm. Could these two be the games that overthrow PUBG and Fortnite from atop of their thrones? If we were to talk about games that have a definitive approach to the shooting genre, many would point towards the Call of Duty or Battlefield series. With tight gameplay and intense fights across many titles, it is incredible to think how far the genre has come with these two at the helm. For the time that the Blackout Beta has been available, it’s seen a massive number of viewers that sometimes even rivaled and/or surpassed Fortnite and PUBG with it reaching 400,000 viewers at one point. Perhaps this is because it’s an early look at a game coming next month, but the initial response is so significant that many believe this may be the dawn of a new age in Battle Royale games. 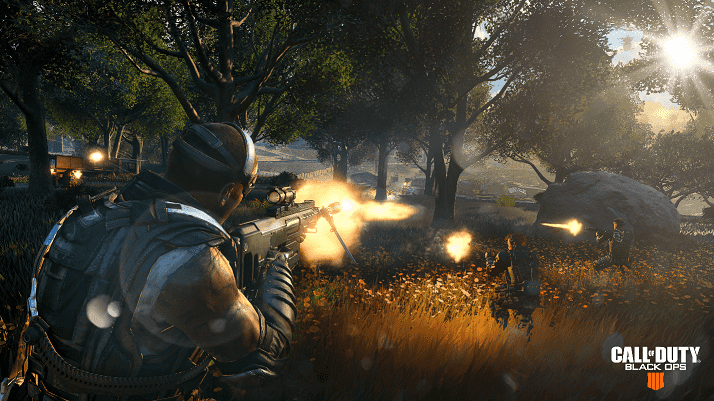 While a “Last Man Standing” mode isn’t anything new, many who played Black Ops 4’s Blackout feel like it’s a fresh take on the Battle Royale genre for a variety of reasons. One of the biggest ones would be how you handle the controls of both sets of games and how you are technically putting in first-person shooting in a genre that is usually third-person. Both PUBG and Fortnite had brushes with first-person either through mods or updates, but developers didn’t design the games with that in mind. It would be like turning Doom or Quake into a third-person shooter; it can work, but many would prefer the first-person perspective. When we observe current Battle Royale games, you can say there isn’t a high focus on fighting as much as playing smart and waiting for the right opportunity to strike. If you get into a fight, it can suddenly come down to who is a better shot as you try to outmaneuver your opponent. First-person shooters can also have this same mindset, but games like Call of Duty or Battlefield can go much further. If you’ve seen the pros play, you can watch how they go all-in when they go on the attack. The biggest thing of note here is that even though Blackout and Firestorm are Battle Royale modes, they are still bringing over the mechanics of the base game. While the various elements of a Battle Royale are still there, players may approach new locations with caution while going into a new location. If they get into a fight, then let the better shot win. For those more familiar with Call of Duty, you can say the action can be more in your face in comparison. The Battle Royale tactics are still there but when you have the refined controls like CoD has, it adds a new depth of gameplay and execution that Fortnite and PUBG can’t offer. If people enjoy the thrills of survival in Battle Royale games, they may flock towards the one that moves at a faster pace. For the time the Blackout Beta has been out, Treyarch has been following the feedback like a hawk. If we take note of their daily posts on reddit, we can see just how far they’ll go to ensure that the game mode is more than just a mere one off. Even on “Day 3” they had a post talking about how the Weapons and Armors would get adjustments, how players would find items, and fixing an issue about Zombies attacking from range. Even though the beta was only out for a short time, there was a significant amount of information collected to make the mode stand out. If Blackout was a simple throw away idea, they probably wouldn’t have invested the time and effort into refining the mode as we saw. For as much as we discussed Black Ops 4’s Blackout mode, you might have noticed how we haven’t covered Battlefield V’s Firestorm mode as much. You could say that because of the recent Blackout Beta, we have much more information to work with in comparison to Battlefield’s video posted earlier this month. It’s not that a red flag got raised because they focused on Firestorm for 20 seconds with vague details. With what information we received though, we could at least make a few educated guesses. Firestorm will have 16 squads of four players going up against each other within a literal ring of fire. As the match progresses, the ring of fire will slowly shrink and destroy the map and anyone who steps outside. To go with this, we also have vehicles like the Panzer Tank you can use to combat against other squads and destroy buildings that players may find themselves in. 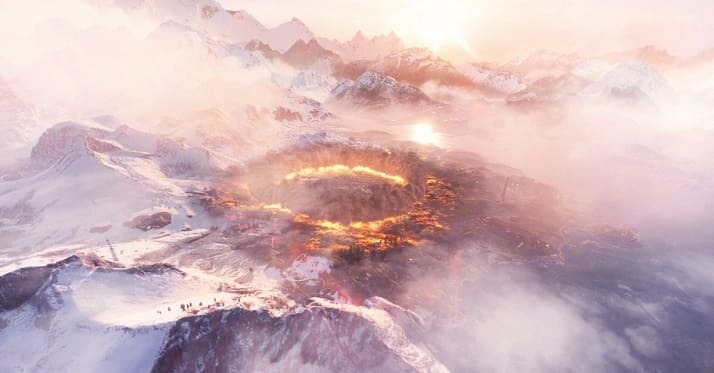 While most eyes are on Black Ops 4 for your first-person Battle Royale needs, — especially since it comes out one month before Battlefield V — EA DICE wants to make their Battle Royale mode just as memorable. You can say ducking into buildings can be important when surviving, but when you introduce the option of destructible terrain, that could mean that there won’t be as many places one can hide. Will the Firestorm mode be a success? Can’t say for sure., but with what little information we have, it can be understandable if some find the approach to the game mode we’ll get in Battlefield V to not contain many surprises. 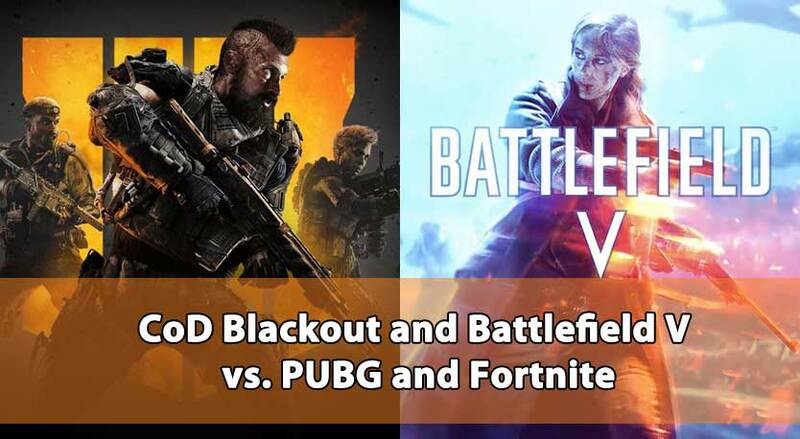 Conclusion: So, will CoD Blackout and Firestorm be the Fortnite and PUBG Killers? The answer itself is difficult to say. There’s no denying that Fortnite’s approach is much more open than the other three games put together. No matter how impressive the other games look and play, you will still pay $60 for either Black Ops 4 or Battlefield V as opposed to the free-to-play behemoth. With that said though, there are differences between these games that will provide a wide selection for gamers to select and enjoy. Fortnite will most likely remain on top, if not close to the peak. Still, perhaps there is that possibility where numbers for both Fortnite and PUBG may take a hit after those games drop later this year. This article was written by Culture of Gaming, your daily source of breaking news and assorted feature articles! Need help with a CoD or Battlefield V account ban?